The following summary was provided by Gary Zimak, Catholic lay evangelist. 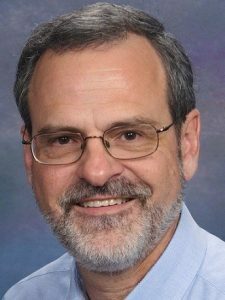 In 2008, Gary Zimak was working as a project analyst when he felt the call to form Following The Truth, an apostolate dedicated to teaching the truths of the Catholic Faith. Initially performing his work for the Lord on a part time basis, Gary is now a FULL TIME Catholic lay evangelist. Using a combination of radio, writing, social media and live talks, he puts his communications skills to work for the Lord and His Church. More information on Gary and his retreats, writings and radio shows can be found at www.followingthetruth.com. Finally, I promised you an announcement of the daily themes for the Following The Truth radio show once the retreat is over. Here’s a brief video that I filmed earlier today explaining the changes for the show. I sincerely hope that many of you will continue to listen to the show once the retreat is over. As always, please let me know if I can be of service in any way. Keep up the good work and hang in there…we’re almost at the finish line!